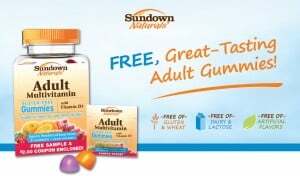 Have you tried the Sundown Natural Adult Multi Gummies yet? You can request free Sundown Gummies samples on Facebook by simply filling out a form. They should arrive in the mail in about 4 to 6 weeks. You also will get a coupon for $2.00 off your first purchase.